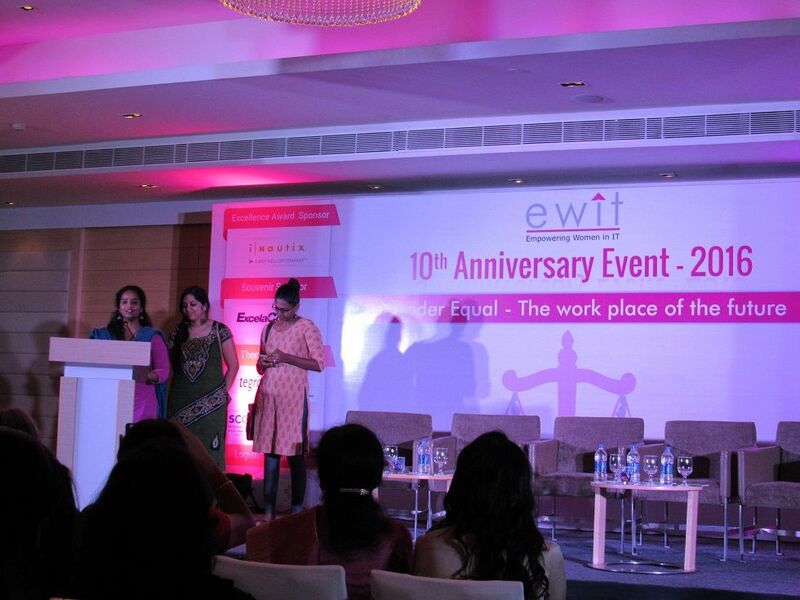 ewit: Empowerment of Women in IT recently organized their 10th Anniversary event at Raintree Hotel, Anna Salai. Being a blogger, in spite of not being a woman, I too got an invite. So I thought why not go and present the highlights of the event to my readers. 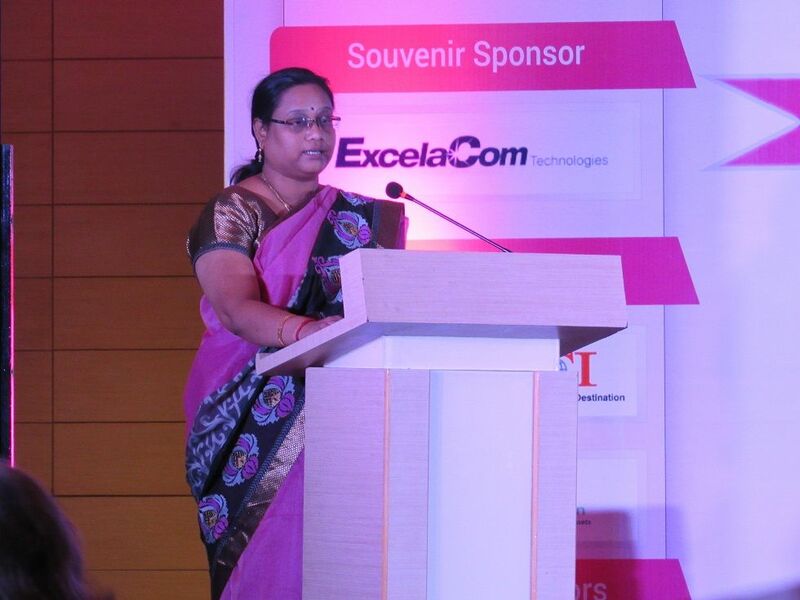 To facilitate women’s quest for a better ‘work-life’ balance in IT/ITES sector. 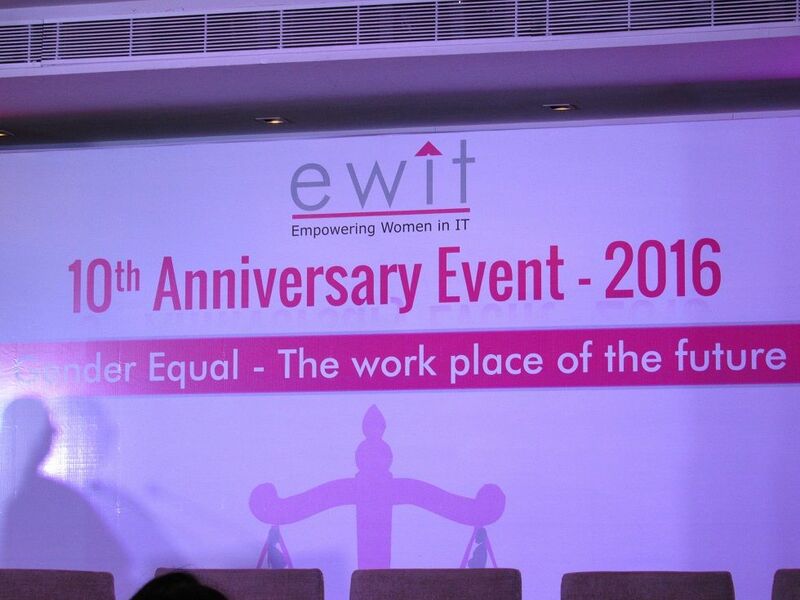 That’s Ms. Sharada Ramani, President, ewit, introducing the vision, key objectives, activities, and achievements of the organization. 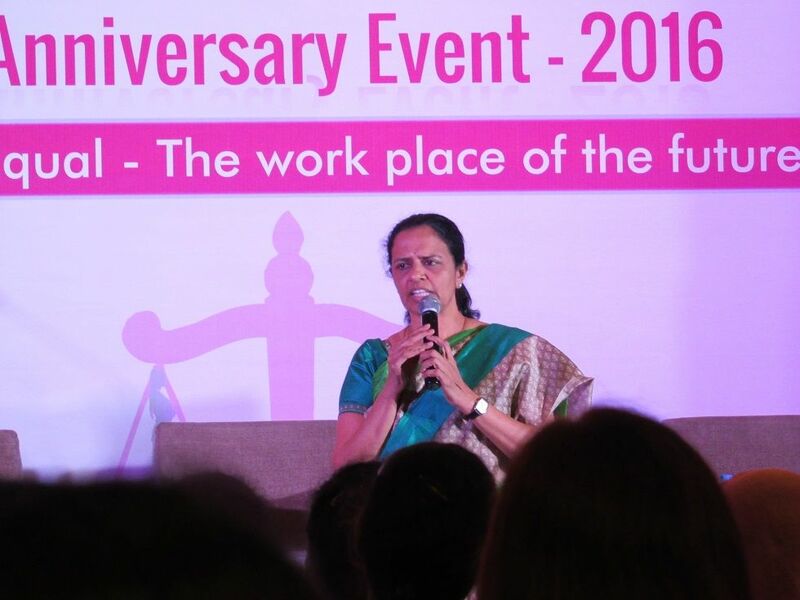 She also spoke briefly about challenges faced by women working in the IT/ITES sector like stereotyping, working in the nights, long shifts in different time zones, frequent travel, sexual harassment, returning back to career after taking a break, underestimating one’s own potential, etc. Next was a very informative session on managing health & looking young inside out by Dr. Kausalya Nathan, who is an Ageing & Lifestyle Management consultant at Apollo Spectra Hospitals. I loved that quote 🙂 A big takeaway from her session was: we already know what is good for our health, so we ought to listen to our instinct. She strongly suggests we drink a lot of water (12 – 18 glasses everyday) in order to stay fit and young. 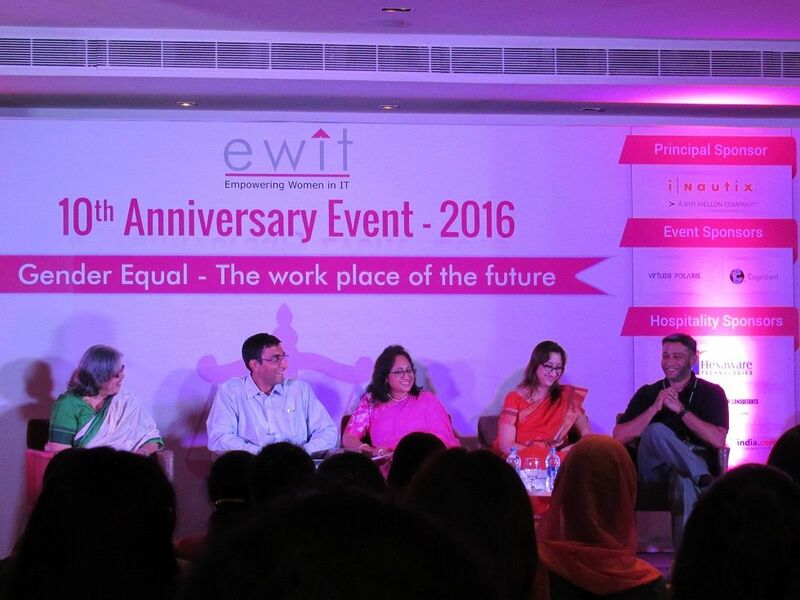 This panel discussion was very useful as the members discussed what can be done to further encourage gender equality in workplaces. Since a lot of information was discussed, maybe I can summarize it in a separate blog post. There was also a technical session on latest technology trends. 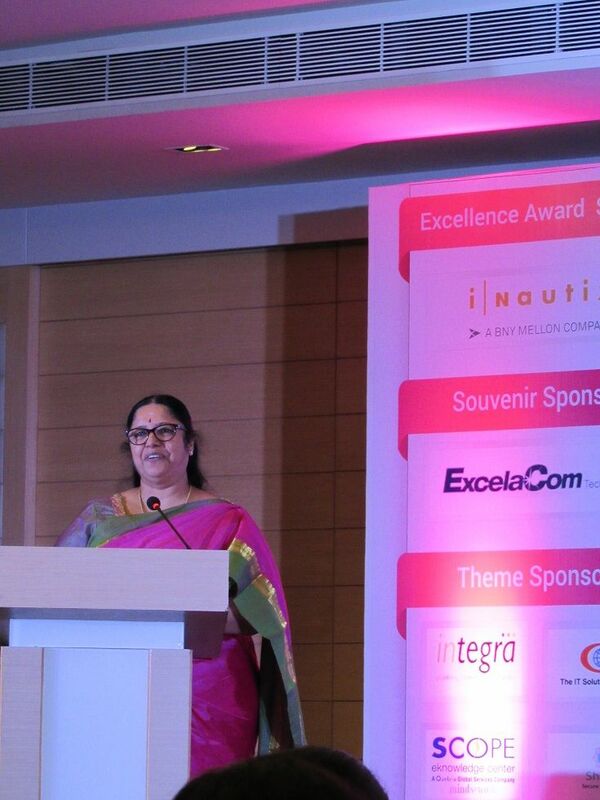 Next was the awards distribution ceremony to women achievers in the IT/ITES sector hosted by Umasree Raghunath. She is a part of our Chennai Bloggers Club and invited us for the event – so special thanks to her. 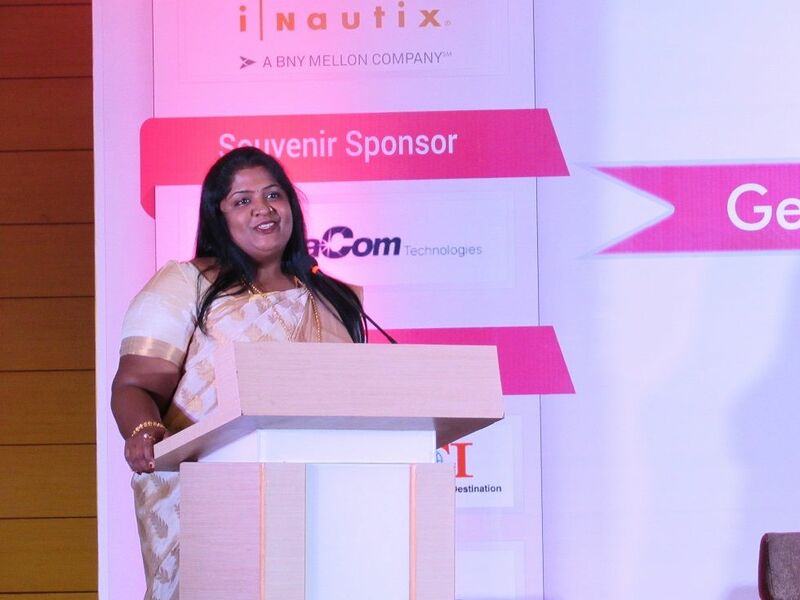 The next session was by Dr. Janani, an international trainer, brain reader, and motivational speaker. It seems she is an expert on Dermatoglyphics, a scientific study of human personality through fingerprints, lines, mounts, and shapes of hands. A key take away from this session was: Have Goals and Write it. Also, she recommends focusing on ‘Being Space’ – the one thing you cannot live without. She also suggested having emotional goals – I will not get angry/be happy tomorrow, etc. 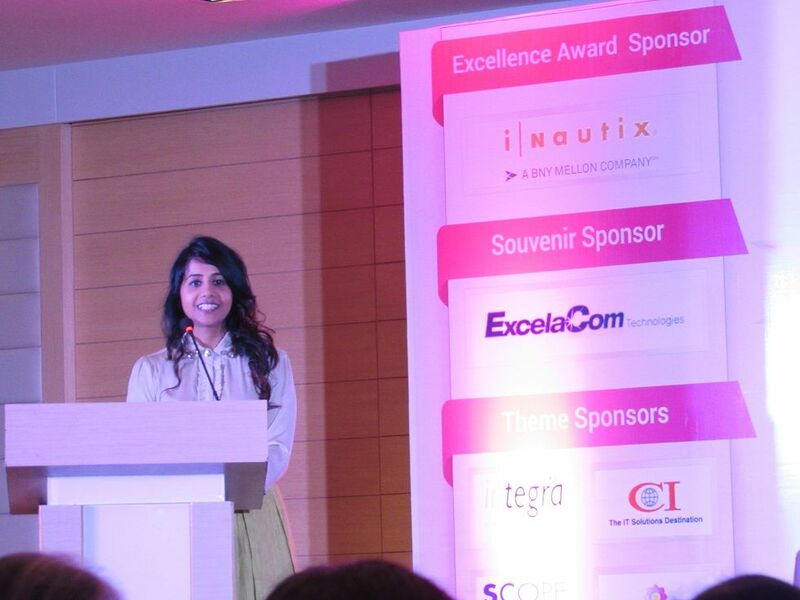 Then spoke the Chief Guest, Ms. Padmapriya Ramanujam. She started her career in the R&D Dept. of BEL. It seems, once she had to go to a desert for testing the radios she designed but was refused permission by her boss. She insisted, carried 100 KG radios by herself, walked 30 minutes even to reach a restroom, and successfully completed the project. Now she is working in a very senior position with Tyco and is an inspiration/role-model for many young tech women aspirants. Yes it was. And a good reminder about being careful on what/how much to eat for a healthy life. That is true. I had to highlight that quote!